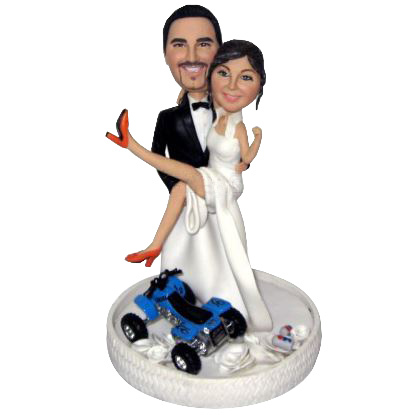 With white wedding gown and red high-heel shoe.The excite bride can't wait jumping on the groom. 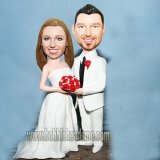 Look, how sweet the scene is. 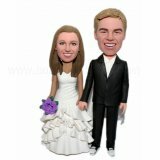 Why not make it for the newlyweds? 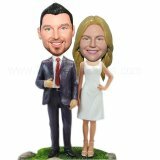 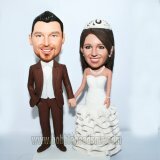 It will become a hit in the wedding ceremony.This custom couple bobblehead will keep the sweet moment for a life time. 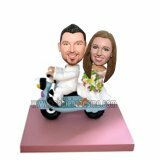 It's perfect gift idea to the newlyweds or married couple for wedding or anniversary gift.